6 MB, 22 pgs, 960 x 1312 pixels. Collecting Stick Cats #1-21. 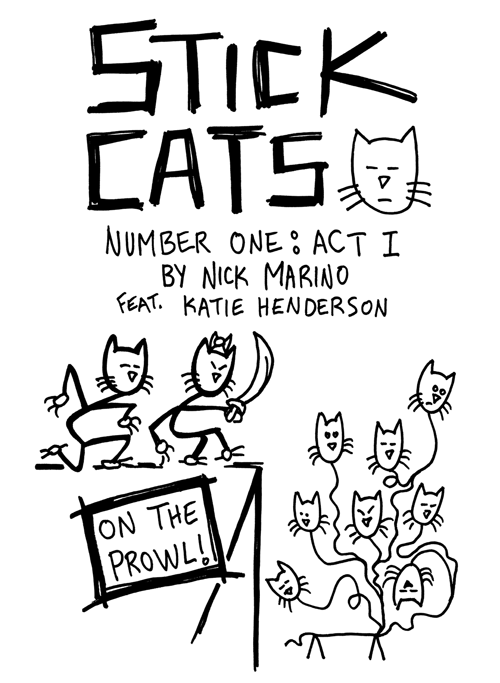 Meet Marmalade and Steve, two tough cats with one goal: to take down the Octo-Kitty, a dangerous 8-headed beast! This tale is full of weird plot twists and imaginative adventure that'll have you clawing for more.